Check out our 10 Arizona Showroom Locations: Chandler, Glendale (2 showrooms), Goodyear, Mesa, Scottsdale (2 showrooms), Tucson (2 showrooms) and Prescott Valley. La-Z-Boy provides great-looking furniture that's comfortable too. All to help you live life comfortably. Our La-Z-Boy team is waiting to assist you with all of your furniture needs. Visit one of our stores to find out how we can make your home, and your life, more comfortable. When you enter a La-Z-Boy Furniture Galleries store, you enter a world of comfort, service and selection. Whether you're searching for ideas to decorate your home, or that perfect piece to complete your room, our Design Center is the place to find it all. You'll be instantly inspired by hundreds of stylish fabrics and leathers that you can custom order. And with the La-Z-Boy Screen Test® system, you'll gain peace of mind by previewing your furniture before you leave the store. Our award winning Interior Designers will turn your dreams into reality. The service is complimentary, the custom options are endless and the results are priceless. 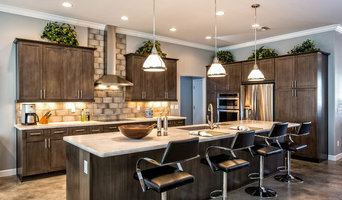 Emily Ehlert specializes in taking the characteristics that are unique to you and your family and creating a space that compliments your lifestyle and interests. IBD Studio is a full-service residential design studio that focuses on the unique personalities and lifestyles of our clients creating a truly custom look for each project. JL Coates is a full-service interior design firm. We offer services ranging from online interior design solutions to residential bathroom, kitchen & full home remodels, new construction, add-ons & commercial TI's. We work with homeowners, architects, builders & licensed contractors. From conceptualization through implementation, we design with every detail in mind. Please give us a call to discuss your project! Blue Copper Design is the freshest design team to hit the Phoenix area. We focus our designs on the needs of every member in the home, while upholding the highest standards in design. Willow & Company is an Interior Design Firm focusing on residential new builds, remodels, furniture design and styling. We love getting to help you bring your vision to life and be involved in your projects! Our goal is to create beautiful but functional + comfortable spaces that our clients can enjoy for years to come! Red Egg Design Group is a full-service Interior Design firm specializing in modern and contemporary design for residential and commercial properties. At J & E Design Interiors, our mission is to hear your goals and help them to become a reality, by transforming your house into a home. As a family owned and operated company, we take a hands-on approach to each project, partnering with our clients every step of the way. With thoughtful consideration of each individual, we strive to design your space to your particular personality, with creativity and unique ideas for every project we take on. Combining a mix of functionality with form, we help mold your home into a haven for you to feel productive, happy, and comfortable, every single day. With a combined 20+ years of experience in the industry, we'll be your guide through the entire process from concept design to completion. We look forward to working with you on your next project! Studio Em Interiors is a full-service residential design firm focused on making your home design dreams a reality. 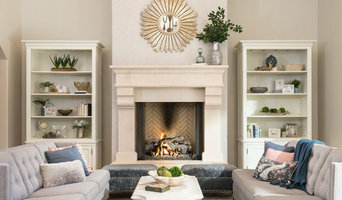 Emily Ehlert, Owner/Designer, specializes in taking the characteristics that are unique to you and your family and creating a space that compliments your lifestyle and interests. With a background in both residential and hospitality design, Emily specializes in kitchens and baths and has the ability to provide design solutions for every part of your home. By working closely with her clients throughout the entire design process, Emily is able to achieve a truly one-of-a-kind design for each home that is as functional as it is beautiful. Studio Em Interiors is a full service design firm specializing in personalizing your decor to create a space that is uniquely you. Each project I complete is as unique and diverse as the client the project is created for. I work closely with my clients to learn about their personal experiences, likes, and dislikes. By working closely with my clients I am able to achieve a truly one of a kind design that is as functional as it is beautiful. I create designs that reach beyond your wildest dreams of what your space could look like and gain lasting clients in the process. Can't seem to find your style? We can help you craft your own interior style! For over 20 years, Mark LaPalm of Blue Desert Interiors has helped his clients achieve the home of their dreams that reflect who they are and how they want to use the space. We are experts in whole house construction and detailing, remodeling of existing spaces and even simple updates like new color schemes and window treatments. Check out our before and after pictures as they are the most amazing. We look forward to hearing from you! I have been in the design industry for ten years. I began designing and selling high end, handmade custom furniture to elite to-the-trade-only boutiques, the highest end designers and commissioned pieces for celebrities all around the US and around the world, then I got into kitchen and bath design and I was in a new kind of heaven. I took my knowledge of furniture and applied to the look and feel of the cabinetry we were constructing which gave it a truly distinctive look and feel that was both unique and familiar. 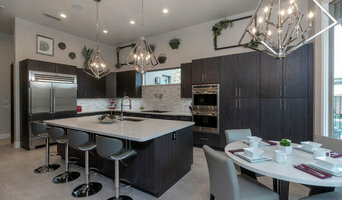 My experience in both these worlds lended themselves well to a career in Interior Design which was first facilitated by cabinetry clients asking if I would help them in other areas of their kitchen; i.e., tile selection, countertops, etc.. This experience made a world of difference in my career! Brown Bird Designs is always willing to try something new! I have never met a client I haven't been able to work with and envision with. Designing your home is about making it yours, not about making it what I want it to be. So many designers have their own agenda and many of their houses look the same because of it and many of their clients are left frustrated in a house that doesn't "feel like them". I've designed French Country, Industrial Chic, Soft Contemporary, Decadent Tuscan, Bohemian Shabby Chic (or Chippy), Southwestern, you name it! I can give you want you want and what's more, I can do in any budget (well, most budgets). Susie Hersker is an award winning designer, specializing in luxury residential interior design. She offers a full range of interior design services for new construction and remodels, including space planning, materials specifications, colorization, furniture selection and placement, custom furniture designs, and art consultation. Regardless of style, from contemporary to traditional to southwest, comfort and quality are high on her list of priorities. Each project is unique and reflects the personal taste, style and requirements of the client. Her custom furniture designs are made by local artisans and wood workers. 'Made in America' is an important part of her design philosophy. Susie feels that her most important job as a designer is to listen carefully to each individual client’s expressed desires, and to interpret their dreams to make their home a reflection of their personality and lifestyle. She is well known for harmonizing the setting of the home with the architecture and the interior colors and furnishings. In addition to working in Arizona, Susie has worked on homes across the country from Chicago to San Francisco, from Santa Barbara to Vail, from Minneapolis to Santa Fe. “The greatest compliment I can receive is to be engaged to create a second, third or fourth home for the same client”. Susie's favorite part of the job is getting to know some fascinating and very special people – her clients. Susie is a fully accredited and professional member of ASID, and has a Bachelor of Fine Art degree in Interior Design. In addition to numerous furniture design awards, she received the prestigious 'Master of the Southwest" award in 2007 for Interior Design. World-renowned Interior Designer, Josie Fratantoni is the founder of Fratantoni Interior Designers. Her firm is fully staffed with many teams of highly experienced Designers which are the most respected and sought-after in their industry. Josie and her team have traveled all over the world designing for clients at a national and international level. This allows them to bring new and unique ideas to the table that will give your home a luxurious and dramatic design you won’t find anywhere else. Fratantoni Interior Designers offer an extensive portfolio with a broad range from simply elegant to intricately detailed. Josie is also the owner of an award-winning luxury home building firm Fratantoni Luxury Estates and Co-Founder of architecture firm Fratantoni Design. Her exceptional expertise in construction and architecture covers all aspects of your initial home planning, construction, and interior design. Fratantoni Interior Designers has a distinct advantage over other designer firms because of their experience and understanding of all aspects of construction, architecture, as well as the integration of materials. The Janet Brooks Design team is passionate, organized and diligent about the interior design process, specializing in the creation of very personal luxury homes in exclusive locations. Our interior design team knows that your time and your budget are of utmost importance, and our process is geared to enhance the successful execution of your project within your parameters. Janet has always been a passionate and competitive person, whether in education, sports or in her career. She constantly strives for perfection, no matter what the endeavor. Interior design is a rewarding career for her, because it satisfies her need to create and her love of beauty and balance, while at the same time providing daily challenges. Janet maintains that it is not only talent, but also hard work and discipline that make the difference between a good designer and a great designer. We Offer: Luxury Custom Residential Design, Boutique Retail Design, Furniture and Fixture Design and Specifications, Architectural Interior Design, Furnishing, Accessorizing and Hourly Interior Design Consultation. What are the benefits of working with custom furniture makers in Mesa, AZ? Whether you’re looking for a custom couch or a new set of custom chairs, it can be difficult trying to find something that matches the rest of your decor and that fits into your space. But when you’re using the furniture in your home almost every day, it’s important that it works and brings you joy. Outfitting your home with custom made furniture ensures that your interior spaces work with your lifestyle and tastes. You’ll be able to specify just how big or small you want a piece to be so that it fits right into your home. You’ll also be able to match wood finishes to the rest of your furniture and pick out upholstery colors or patterns that reflect your style. While working with local Mesa, AZ furniture makers might seem like a big project, you’re likely to end up with a high-quality piece perfectly suited to your lifestyle and meant to last for years to come. 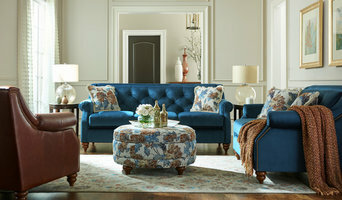 Even if you like the sound of having furniture made specifically for your home, you may be wondering how to even begin. First, you should take some measurements of your space and the other furniture you have. Consider the colors and style of the room and how a new piece might fit in. Many custom home furniture companies in Mesa, AZ will be able to give you a choice of different configurations and designs that you can choose from. They may also have pieces that are already made, so you might take some inspiration from those designs. Whether you’re looking for custom wood furniture for your dining room or a custom sofa for the living room, Mesa, AZ furniture makers near you will be able to take your ideas and make something lasting out of them.